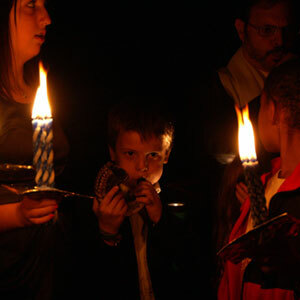 Battery Park Synagogue has become locally famous for their children’s candlelight and flashlight procession for Neilah, the conclusion of Yom Kippur services Saturday night, September 18 at around 7:30 pm. As in past years, services are held in the 2nd floor ballrooms of the NY Marriott Downtown Hotel, 85 West Street. They will be held in a dimly lit sanctuary, during the closing service that ends with multiple individuals blowing shofars, as well as many dozens kids, standing on the podium at the front of the room, singing and swaying to usher in the end of Yom Kippur. 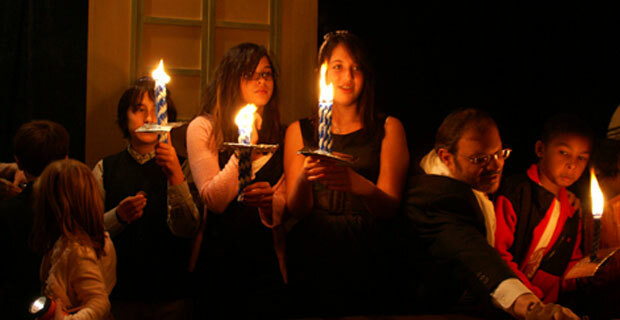 For more information please visit the Battery Park Synagogue website.